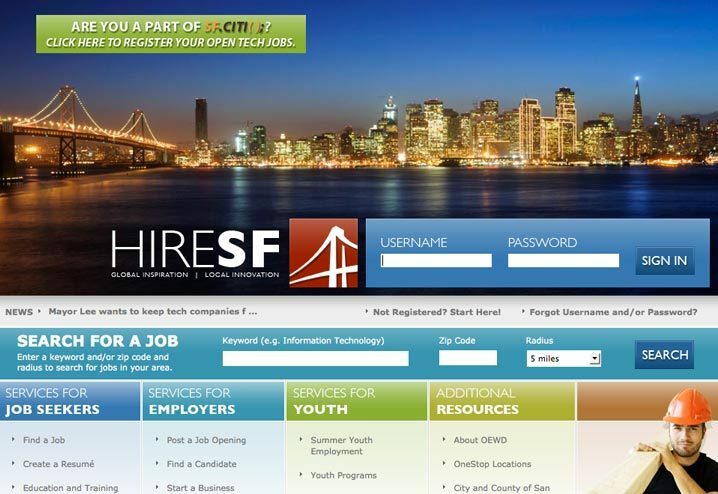 PROJECT: HireSF aims to provide a complete set of employment tools for job seekers in San Francisco. Contracted by the City of San Francisco, via BAVC, interactive surveys were created to help determine skill sets and place prospective job seekers or long term unemployed. An open source jQuery plugin was used to create these. Using all open source technology was critical so the surveys could be used widely in different contexts as needed.